Neal C. Bradsher‘s Broadwood Capital has trimmed its stake in Questcor Pharmaceuticals Inc (NASDAQ:QCOR) by selling 20,000 shares. According to the filing with the SEC, Broadwood disposed the securities in one deal at a price of $65 per share. Following the transaction, the fund still owns around 2.78 million shares. The stake currently amasses around 4.5% of the company’s stock. 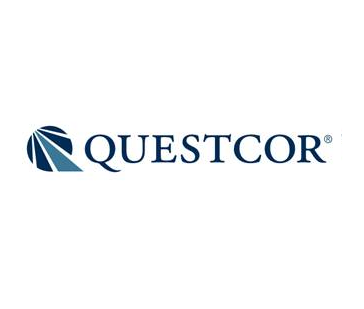 Overall, Broadwood Capital reduced significantly its position in biopharmaceutical company Questcor Pharmaceuticals Inc (NASDAQ:QCOR). In its latest 13F, the fund revealed holding almost 3.3 million shares of the company. Palo Alto Investors, led by William Leland Edwards, is another investor with a $38.05 million stake, which contains around 656,000 shares of the company. Christopher R. Hansen’s Valiant Capital disclosed holding 531,600 shares in its latest 13F. Questcor Pharmaceuticals Inc (NASDAQ:QCOR)’s stock returned almost 30% over the past six months, trailing a P/E of 14.8x. A couple of days ago, the company paid a quarterly dividend of $0.30 per share. Last month, Questcor Pharmaceuticals Inc (NASDAQ:QCOR) announced that it has repurchased around 500,000 shares of its common stock at an average price of $57.21 apiece. Broadwood Capital is a mid-sized New York City-based fund with an equity portfolio worth around $468.5 million. At the beginning of the month, the fund disclosed raising its stake in BioTime, Inc. (NYSEMKT:BTX) to 9.52 million shares, from some 9.02 million held previosly. Overall, the stake currently amasses 14.1% of BioTime’s outstanding stock. Among the largest stakes revealed by Broadwood in its latest 13F, is STAAR Surgical Company (NASDAQ:STAA), in which the fund holds a $86.68 million stake, which amasses 6.4 million shares. Another one is Monster Beverage Corp (NASDAQ:MNST), in which Broadwood owns 1.61 million shares, worth $84.08 million.